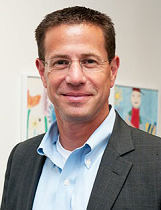 J. Stuart Ablon, Ph.D., is the Director of Think:Kids in the Department of Psychiatry at Massachusetts General Hospital. He is also Associate Professor and the Thomas G. Stemberg Endowed Chair in Child and Adolescent Psychiatry at Harvard Medical School. Dr. Ablon is author of the books Changeable: The Surprising Science Behind Helping Anyone Change, Treating Explosive Kids: The Collaborative Problem Solving Approach, and The School Discipline Fix. Dr. Ablon received his doctorate in clinical psychology from the University of California at Berkeley and completed his training at Massachusetts General Hospital and Harvard Medical School. A dynamic and engaging speaker, Dr. Ablon was ranked #5 on the list of the world’s top rated keynote speakers in the academic arena. Dr. Ablon trains parents, educators, and clinicians, and helps organizations throughout the world implement the Collaborative Problem Solving approach. Why is it so hard to change problem behavior—in our kids, our colleagues, and even ourselves? Conventional methods often backfire, creating a downward spiral of resentment and frustration, and a missed opportunity for growth. What if the thinking behind these old methods is wrong? What if people don’t misbehave because they want to, but because they lack the skills to do better? Or as renowned psychologist Dr. Stuart Ablon asks, what if changing problem behavior is a matter of skill, not will? Based on more than twenty-five years of clinical work with juvenile offenders as well training parents, teachers, counselors and law enforcement, and supported by research in neuroscience, Dr. Ablon presents a radical new way of thinking about challenging and unwanted behavior -- Collaborative Problem Solving -- that builds empathy, helps others reach their full potential, and most of all really works. With illuminating scientific evidence, remarkable success stories, and actionable insights, Dr. Ablon gives parents, teachers, CEOs and anyone interested in learning about why we behave the way we do a roadmap for helping people grow. Behaviorally challenging kids can exhibit intense temper outbursts, oppositionality, and verbal and physical aggression. Behavioral difficulties like these strain family relationships and are the leading cause of teacher stress and burnout as well as the primary reason for departures from teaching the academic curriculum. Yet, traditional disciplinary strategies tend not to work with the youth to whom they are most applied and are often associated with significantly increasing risk for things like school dropout and juvenile justice involvement. Dr. Stuart Ablon provides an alternative conceptualization of the difficulties of these kids; namely, that they lack skill, not will – skills in areas like domains of flexibility, frustration tolerance, and problem-solving. Based on this conceptualization, he will introduce an approach to transform discipline called Collaborative Problem Solving (CPS). CPS provides replicable guideposts for adults to build helping relationships with children while fostering a relational process that develops flexibility, problem solving, and emotion regulation skills. The CPS model has helped adults teach these lagging cognitive skills while reducing the frequency and intensity of challenging behavior in diverse settings, including families, schools, group homes, and inpatient and juvenile detention facilities. Parent-child power struggles leave both parties feeling miserable with the parent scratching his/her head, wondering how it could have gone differently. If these show-downs happen regularly, the whole family ends up feeling desperate. Dr. Stuart Ablon offers a new way to understand and help all kids, but especially those with social, emotional and behavioral challenges. Neuroscience research shows that these children lack the skill, not the will, to behave. The Collaborative Problem Solving approach flows from this research and runs counter to the conventional wisdom of relying on rewards and punishment and instead offers a revolutionary model that repairs relationships, decreases challenging behavior and parent stress, and helps kids build the skills they need to succeed. Dr. Stuart Ablon presents a paradigm-shifting model to transform school discipline that has been shown to reduce behavioral challenges, teacher stress and detention and suspension while helping our most at-risk students build the skills they need to succeed. Based on the latest neuroscience which shows that challenging students lack the skill―not the will―to behave, the evidence-based Collaborative Problem Solving approach provides K– 12 educators a clear framework that can implement in both general and special-education settings. Traditional concepts of parenting and teaching place a heavy emphasis on ensuring that children comply with adult directives and include fairly narrow notions of what it means to be an authority figure in the life of a child. Dr. Stuart Ablon suggests that there is much to be gained by helping adults understand that their authority is best directed toward teaching children to think independently and collaborate on mutually satisfactory solutions. The name of the model is Collaborative Problem Solving, and it may well change your ideas about how to interact with your children and students. There is renewed interest in the effects of chronic, overwhelming stress and trauma on children’s development, learning and behavior. Parents, educators and clinicians strive to provide a trauma-informed discipline. Yet, we often still struggle to understand the impact of trauma on brain development in a concrete and tangible way, and we all long for concrete strategies that operationalize what brain science tells us will be helpful to facilitate development arrested as a result of complex developmental trauma. Dr. Stuart Ablon explains the impacy of chronic stress, adversity and trauma on development, makes complicated neurodevelopmental concepts accessible, and provides a practical, evidence-based process for trauma-informed care that everyone at school can follow. The Collaborative Problem Solving approach operationalizes the ideals of trauma-informed practices, reflects the latest neuroscience, can be applied by all adults, and has demonstrated effectiveness across settings. Challenging students lack the skill―not the will―to behave. The authors’ evidence-based approach allows teachers to dramatically reduce challenging classroom behaviors while helping even the most disruptive students gain the skills they need to succeed inside and outside the classroom. Step-by-step guidance and exercises are provided to help K– 12 educators implement the CPS model in both general and special-education settings. The first comprehensive presentation for clinicians of the groundbreaking approach popularized in Ross Greene's acclaimed parenting guide, The Explosive Child, this book provides a detailed framework for effective, individualized intervention with highly oppositional children and their families. Many vivid examples and Q&A sections show how to identify the specific cognitive factors that contribute to explosive and noncompliant behavior, remediate these factors, and teach children and their adult caregivers how to solve problems collaboratively. The book also describes challenges that may arise in implementing the model and provides clear and practical solutions. Two special chapters focus on intervention in schools and in therapeutic/restrictive facilities.